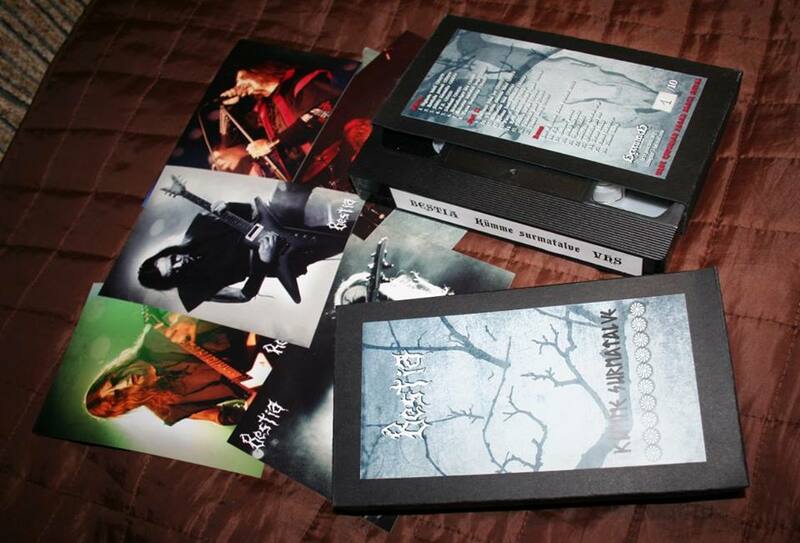 Description: anniversary VHS of Estonian pagan black metallers. Contains two gigs filmed with 3 cameras and selected videos from earlier gigs in Part 2 (2003-2009). Includes special bonus part, with Bestia live at Kilkim Zaibu Festival 2010. Video standard: PAL. This release comes in handmade cardboard box and includes photo of each band member.